It has been so many months since I last had Indian food! I particularly have not attempted to cook any Indian dishes or curries due to their complexities in terms of the amount of spices used. Together with Simco and Symo, we went to Samuel St in Camp Hill to try Mamak Tandoori House which specialises in Malaysian and Indian dishes. The prices are really reasonable ranging from about $15.90 for the main curries. There are so many to choose from and we finally decided to have two curries, one briyani and one naan. So, what did we have? Bare in mind that all the curries 'heat' level start with medium and above! 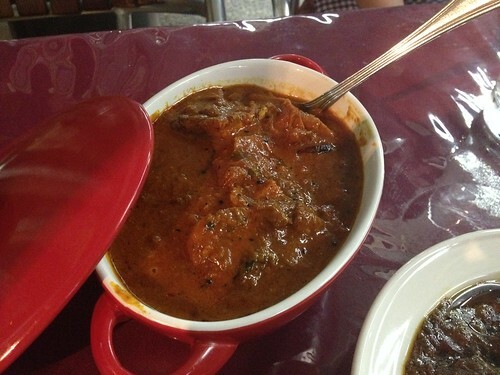 First up, we had the lamb 'kapitan' curry which was the house specialty. 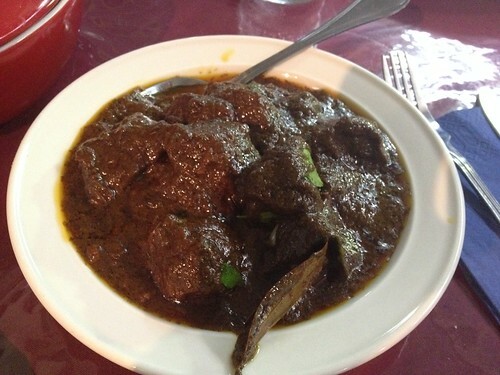 I am not a big fan of lamb but this curry surprised me! The lamb was really tender and the curry just tasted so authentic. You will not miss the curry leaves and the 'blame-my-poor-spices-recognition' in the curry. It was really good! For our second curry, I chose the fish 'Bengal' curry. I can't describe the flavour but it was so good! It tasted very authentic and you have chunky pieces of fish enough to be shared among three people. We devoured both curries even though we were sniffling by the end of it. Yum! 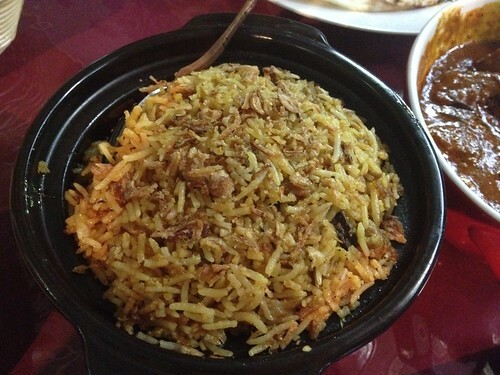 To accompany the curries, instead of plain basmati rice we tried their chicken briyani. No complains at all! The boneless chicken pieces were really tender and soft, cooked well with the basmati rice. 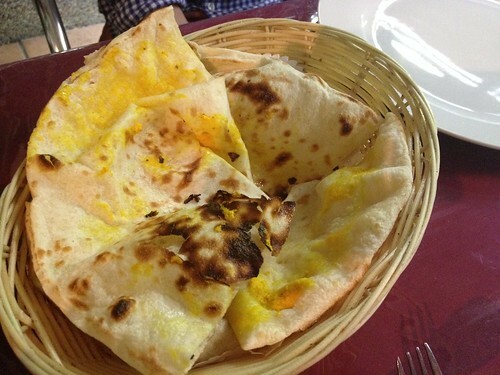 Last but not least, a garlic naan to soak up all the curries! Their naan is quite thin in comparison to others that I have tried before. Their naan is not too bad. 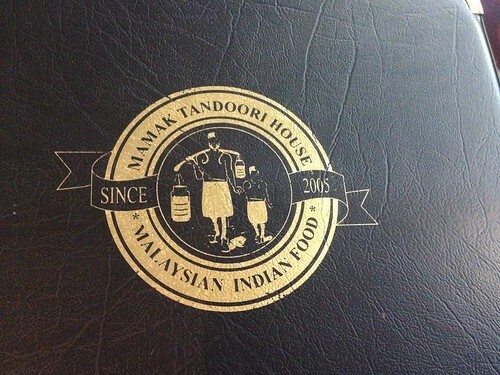 We all had great time in Mamak Tandoori House. It is quite a small restaurant in comparison to others around that area. It certainly did not disappoint and I hope to return one day. Luckily there was a Baskin and Robbin nearby to soothe our tongue... Hehe!